The Virtual Sink: Really, Family Video? My local Family Video had a very unique way of encouraging people to support the local blood drive. 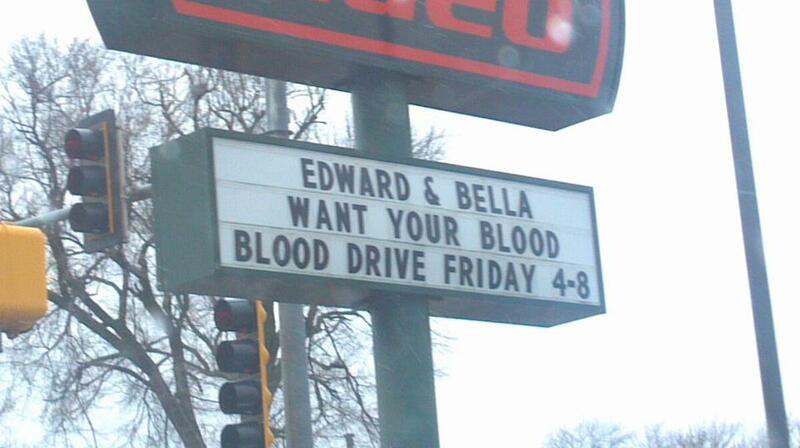 Considering that the blood drive coincided with the release of Breaking Dawn Part II on DVD, I can understand how they came up with the idea. I just can't decide if I find it clever or if I find it tacky.